Surprisingly, when I googled, I found very little information on the interweb about this topic and had to explore my options a bit all over town. A few of the local guides/travel agencies offered to make a tour out of this at the cost of $50,000-$60,000 Colombian pesos ($30 USD), which includes a guide to take you to the Leticia airport to stamp out, the to the Santa Rosa immigration office on the Peru side to stamp in, and one night stay at a hostel in Santa Rosa close to the port. That may not seem much but is actually quite steep when a ride to the Leticia airport normally costs $1 USD. Stamp out of Colombia a day or two before your boat to Iquitos at the Leticia airport, if you haven’t done so already. 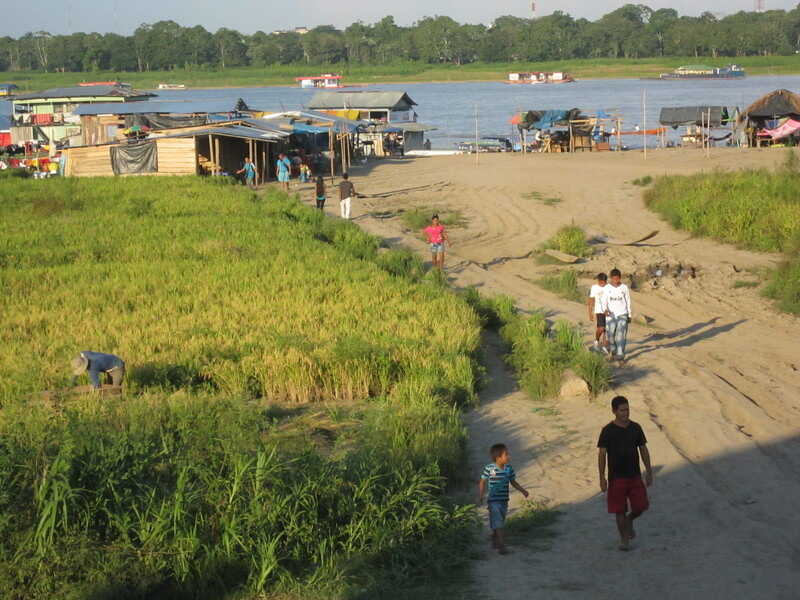 Catch a boat by the river side of Leticia. There’s an informal line and when you get there they will come to you. Tell the driver that you want to go to Santa Rosa for $2000 Colombian pesos. The ride is only 10 mins or so. Stamp in at the immigration office in Santa Rosa, Peru. Find a hostel/hotel in Santa Rosa because it’s hard to catch a boat from Leticia at 2 AM. I highly recommend the hostel I stayed at because it’s walking distance from the dock with a rather beautiful deck. Plus it’s at least one story above ground and it had more breeze and less bugs that way. I think the place is called “Hostal Las Brisas del Amazonas,” but go by what you see not this name since it’s been a while. The hostel/restaurant is the first building on the right hand side when you ride the motor taxi into town, no more than 400 meters from the dock. The owner was very kind and they will wake you up and walk with you to the dock at 3 AM. The cost was $20,000 Colombian pesos a night. The view from the hostel’s open restaurant patio. Though the accommodation was basic at the hostel, I was very VERY glad it had at least a toilet (instead of a hole) which, once you get to Santa Rosa, you will see why. They also have electricity for two hours every evening. Again, a pleasant surprise! 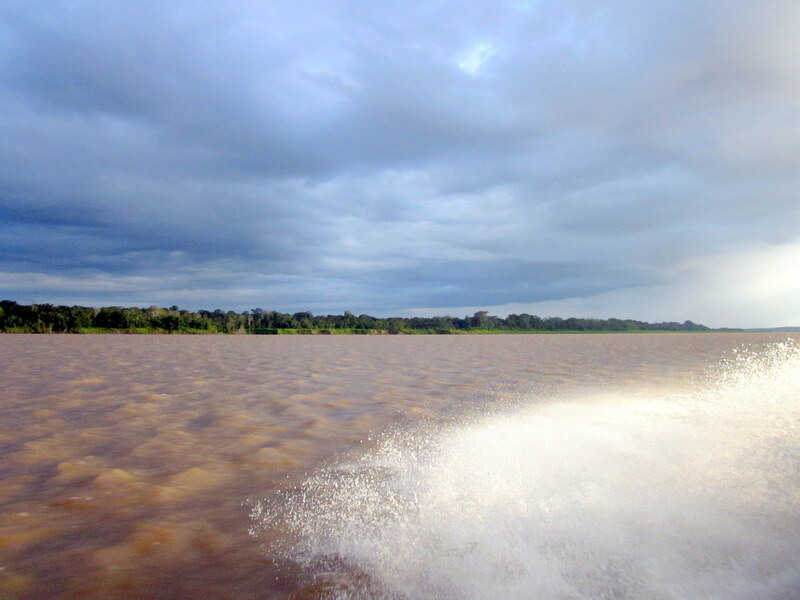 10 hour speed boat from Santa Rosa to Iquitos. The boat will make two quick stops along the way and lunch is served on board. 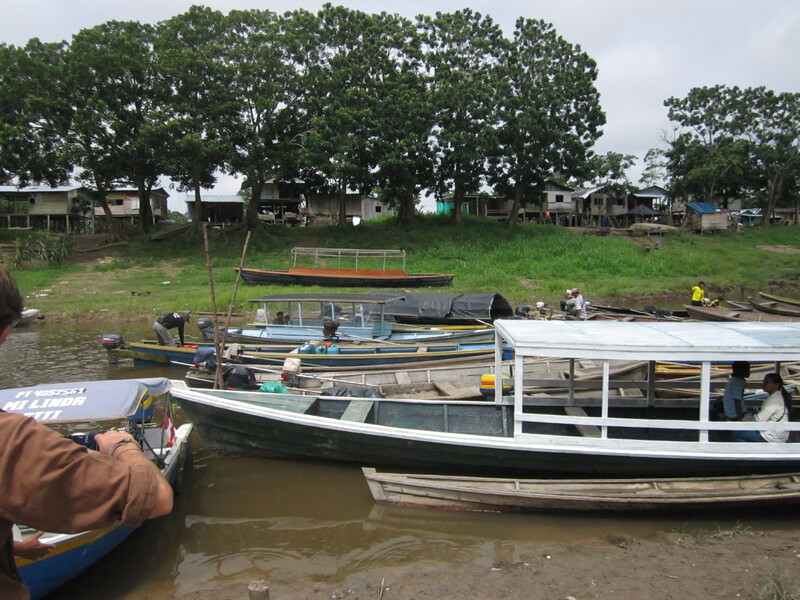 Once I arrived at Iquitos, there were plenty of motor taxis waiting to take you. It should be no more than $1-$2 USD for you to get to a hostel/hotel. My motor taxi driver tried to hustle me to a hotel he recommends but I told him I already reserved and paid online for the Flying Dog Hostel, then he stopped trying to sell me whatever crazy place it could’ve been that he’s suggesting. 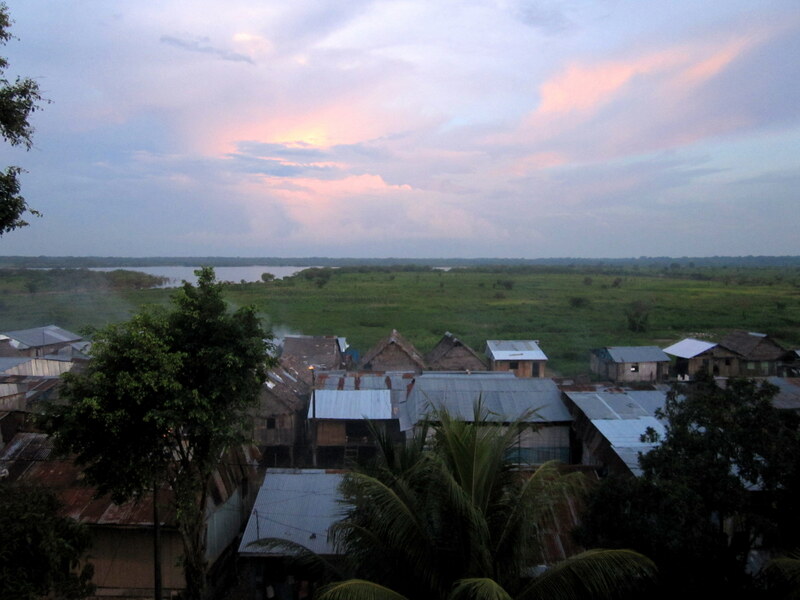 The next day I took another motor taxi ($8 Peruvian Soles) to the airport to catch a flight to Lima. Done with the heat, humidity, and mosquitoes! !